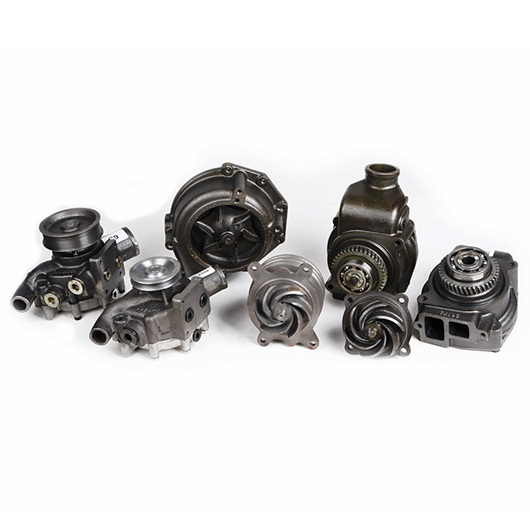 water pump is cooling the engine and it can prevent the engine temperature from getting too high. water pump working principle: Through the pulley drive pump bearings and impeller rotation, the pump in the coolant driven by the impeller rotation, under the action of centrifugal force was thrown to the edge of the pump shell, while generating a certain pressure, and then from the outlet or water pipe out. The center of the impeller is thrown out of the coolant and the pressure is reduced. The coolant in the tank is sucked into the impeller through the water pipe under the pressure difference between the inlet of the pump and the center of the impeller to realize the reciprocating circulation of the coolant.DIRON parts wholesale quality OEM aftermarket CAT water pumps with good price.